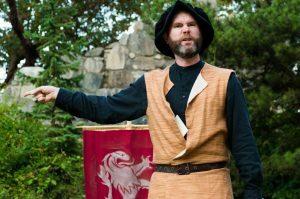 Sam Hagen (as Pisanio in Cymbeline) suggests that you go see a play! Photo: E. Harris Photography. 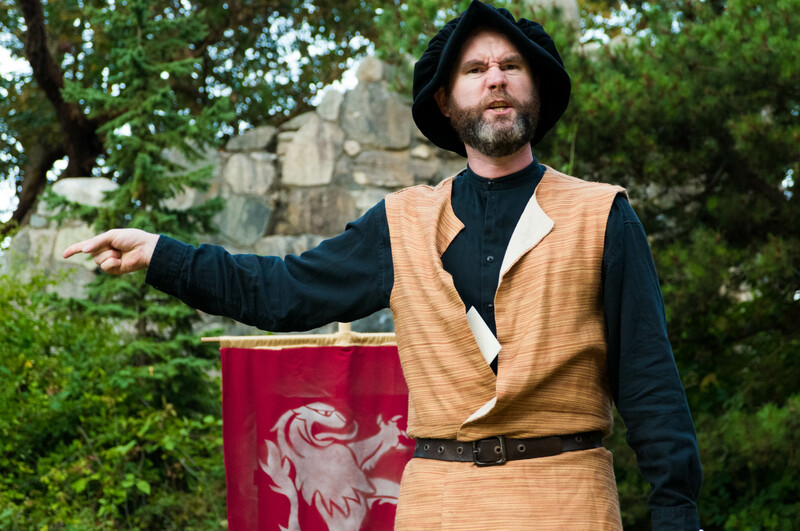 There are just two weeks left in GreenStage’s 28th season of FREE Shakespeare in the park. Start making your plans now to catch all four of our shows—or to see them all again if you’ve already enjoyed them this summer. We visit some of our old favorite haunts this week, such as Magnuson Park, where we have five performances, including a Saturday double feature. We also have plays in Fall City and Lynnwood as well as Discovery and Cowen parks. Also on the calendar this week is a new stop: Delridge Playfield. Our Backyard Bard shows will play a double feature there on Sunday afternoon. We’ve built a failsafe for procrastinators into our season schedule this year. If you find yourself at August 13 and you have not seen a single GreenStage play (and seriously, what on earth have you been doing with your summer?!?) you can see all four plays in one sitting on our final Saturday at Volunteer Park.